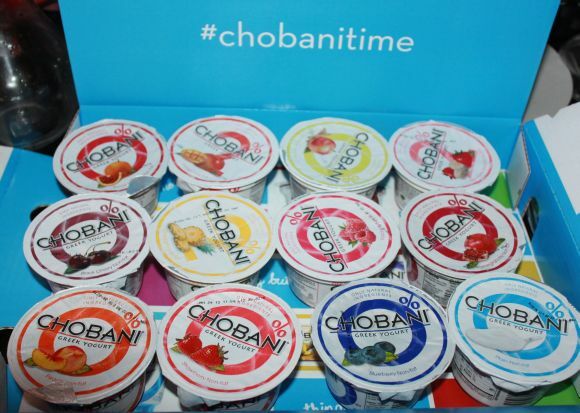 Beautiful Incentives: Chobani Yogurt Review. Flavor blast! Chobani Yogurt Review. Flavor blast! Are you a fan of yogurt? I love Yogurt, but only the good stuff. The minimally processed Greek kind. It is minimally processed, low sugar and low fat, with a ton of probiotics in every bite. Probiotics help to keep the good flora in your intestines and are great to replenish you body with when on antibiotics, which kill the good flora. I'm not a fan of the sugary ones that are more sugar than actual yogurt. These reasons are why one of my favorite brands is Chobani, so I'm very happy to review them for you today. I got to try out so many different flavors i'd never tasted before. Chobani graciously provided me with a case of 12 containers to try. I am not kidding when I say that I enjoyed each and every single one. Not one were my taste buds averse to. My favorites though would have to be the pomegranate, pineapple, plain, peach, blood orange and cherry. Those are among my most favorite fruits, so it only makes sense. My ABSOLUTE number 1 favorite is the pomegranate. That is a very unique flavor and I love that fruit. It goes perfect with yogurt. When I wanted more of that and my store was out of it I ended up just buying a pomegranate, spooned it out and added it to plain greek yogurt with a little bit of sugar. It wasn't as good as theirs, but it was good! So that shows you just how much I love that flavor. These are so incredibly yummy. The texture is really creamy and because of that, it makes a great alternative to ice cream. Every time I crave something cold and creamy I turn to two things when watching my weight, Arctic Zero ice cream or Greek yogurt. They come in perfect portion sized containers so you don't over eat and the ration of fruit to yogurt is fair. It is not overly sugary and it is very satisfying. Chobani uses only natural flavors so you know you are not putting a bunch of processed junk in your body. You have the option to choose from Regular or non fat and low fat and they are all very good. They also carry the new Bites and Flips varieties which are smaller with more treats like chocolate and cookie bite sized pieces added to them. There are so many flavors left for me to try, such as the Key lime crumble Flips. Does that not sound amazing? Key lime yogurt, yum! You just flip graham cracker crumbles and white chocolate into their creamy key lime yogurt. That sounds as good as pie and i'm getting hungry just talking about it. If you'd like to learn more, like them on Facebook and follow on Twitter to keep up with promotions. you can also find great yogurt ideas and recipe pictures on their Pinterest. They have coupons on their site right now as well! I love Chobani! My favorite is strawberry-banana. I eat Chobani Fat-Free plain yogurt every day; I add it to my fruit smoothie to make it extra-healthy. I think it's wonderful!